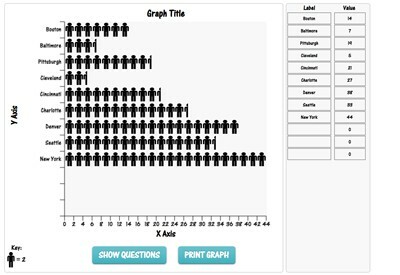 Description: This is a powerful graphing program that allows students of all ages to create four different graphs on one page by entering data. 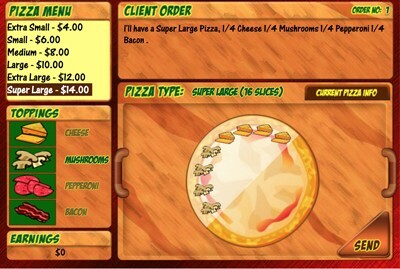 The program displays four different interactive graphs: bar, line, pie, and frequency chart. 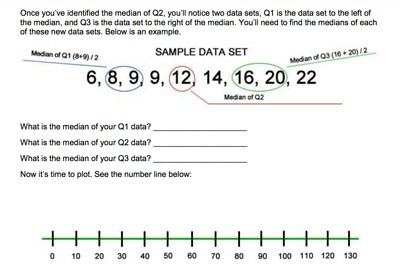 The program also analyzes data and generates eight multiple choice questions about the data. It gives immediate feedback. 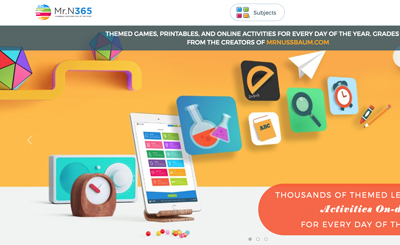 This program is perfect for students taking classroom polls. 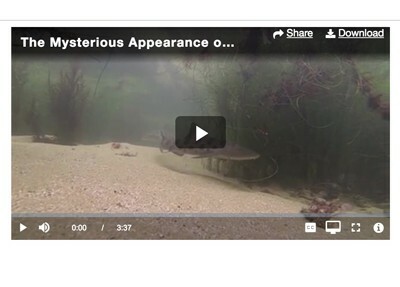 Watch the demonstration video to learn more. Description: This online activity requires students to analyze a bar graph that measures favorite ice cream flavors and to answer eight multiple choice questions. Immediate feedback is given. 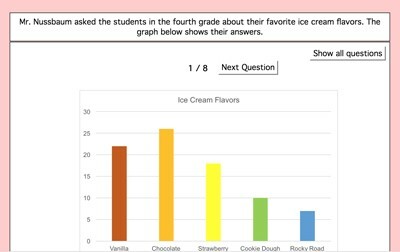 Description: This online printable requires students to analyze a bar graph that measures favorite ice cream flavors and to answer eight multiple choice questions. Description: This online activity requires students to analyze a bar graph that measures favorite ice cream flavors and to answer eight multiple choice questions. 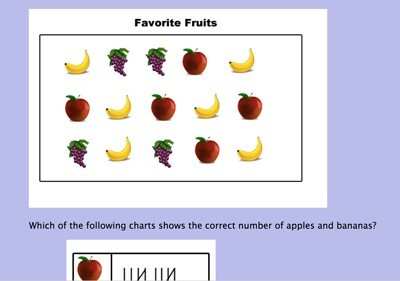 Description: This online bar graph activity will help you get ready to play The Jellybean Tree. Immediate feedback is provided. 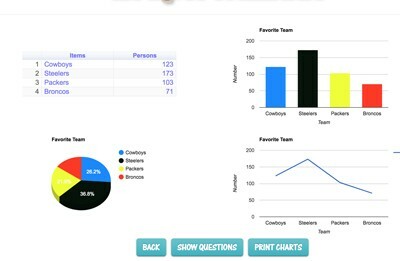 Description: People Graph is a polling tool that represents data visually with people icons. 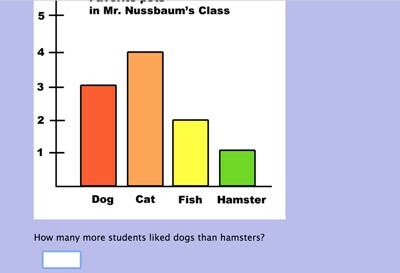 Take a poll of your classmates and then enter options and then the associated number of people who chose each option. 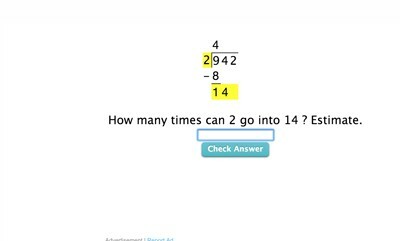 Answer multiple choice questions generated by the program when completed. 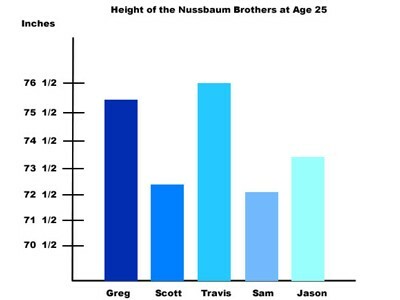 You can also print out your people graph. 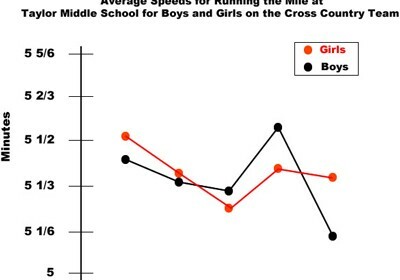 Change the X and Y axes and title by typing over the text already there. Description: Histomatics is the study of how mathematics affects history. In this activity, students are presented with a map of the southern states and each state's population of free people and slaves. 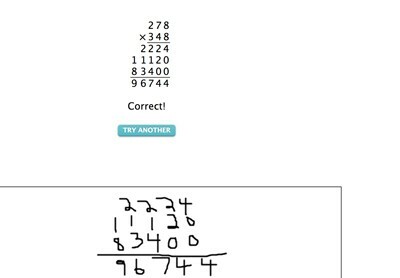 Students must make calculations to answer questions. 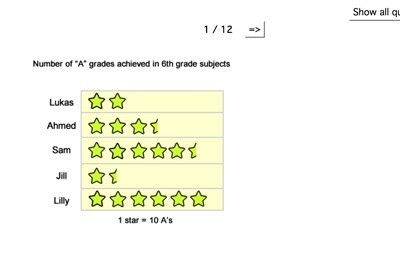 Description: This activity requires students to read basic bar graphs. Immediate feedback is given. 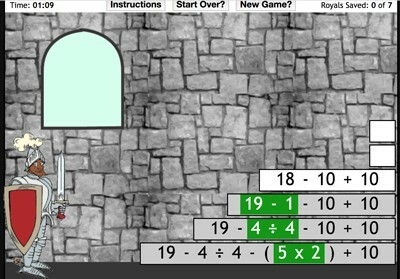 Description: This activity requires students to read and make calculations based on tally charts. 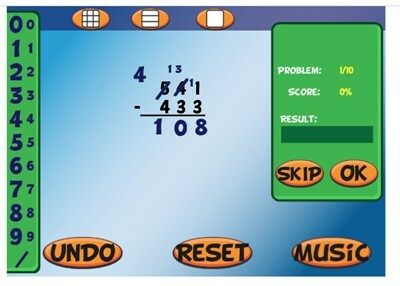 Description: This activity requires students to read and make calculations based on picture charts. Immediate feedback is provided. 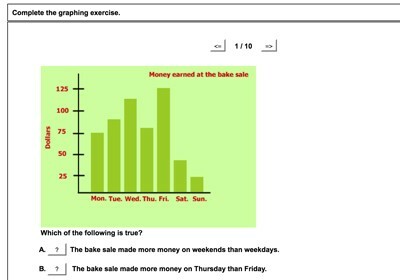 Description: This activity requires students to read and make calculations based on a line chart. Immediate feedback is provided. Description: This activity requires students to read and make calculations based on a bar graphs with y-axis intervals of two or more. Immediate feedback is provided. Description: This activity requires students to read and make calculations based on a bar graphs with y-axis intervals of ten or more. Immediate feedback is provided. 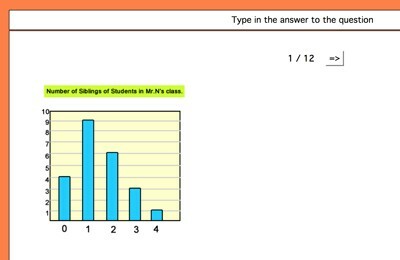 Description: This activity requires students in grades 3 or 4 to answer questions about various bar graphs. It gives immediate feedback. 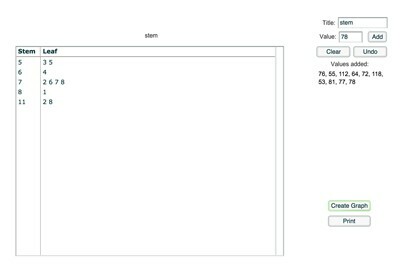 Description: This is a simple bar graph generator. Students simply enter values and labels, choose colors, and print. 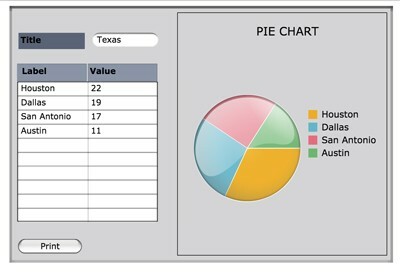 Description: This is a simple pie chart generator. Students simply enter values and labels and print. Flash required. 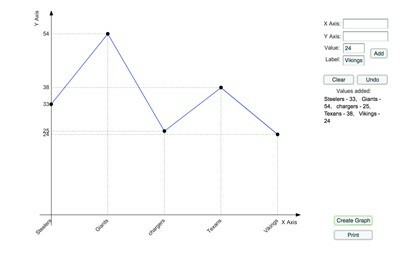 Description: This is a simple line graph generator. Students simply enter values and labels and print. Flash required. 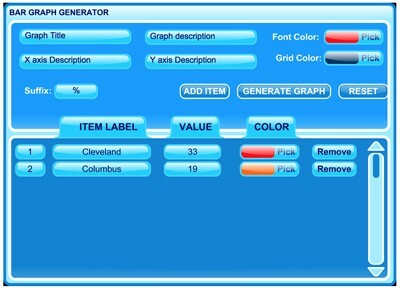 Description: This is a simple stem and leaf chart generator. Students simply enter values and labels and print. Flash required. Description: This is a simple histogram generator. Students simply enter values and labels and print. Flash required. 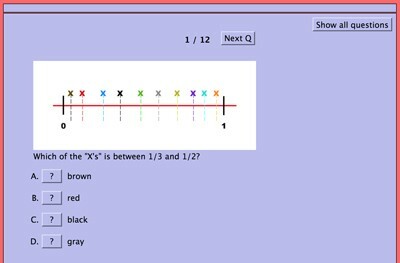 Description: This activity walks students through the process of making a Box and Whisker plot on a step-by-step basis. Then, it requires students to use a chart that describes the number of major Civil War battles in each state, to make a box and whisker plot.